The London-to-L.A. transplants have a new record due June 10. 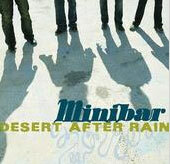 A move down the food chain hasn't ruined Minibar's appetite at all. The London-to-L.A. transplants, dropped by Universal after one pretty but pretty much ignored album (2001's Road Movies), have hooked up with Foodchain Records, home to such acts as the Januaries, Betty Blowtorch and Garageland. On the menu: the band's follow-up album, Fly Below the Radar, due June 10. "I don't think it's a huge departure,", frontman Simon Petty says of the new material, which was recorded in part with Dusty Wakeman and in part with Wallflowers Rami Jaffee and Greg Richling. "Maybe it's a little less alt-country than the first record, if that's how people found that. There are more influences on this album. The harmonies still stack up West Coast-style, but the music nods more to our British roots." The band, which performs Thursday at Largo, is eager for a fresh start, though Petty notes wryly, "Getting dropped [by a major label] is a badge of honor these days, isn't it?"